The Standard Rooms feature the hotel’s distinctive modern design and includes all the amenities that cater to your business and recreation needs, with a queen size bed. All the standard Rooms include a choice of a Standing Shower or Bathtub. and 15% Value Added Tax. All Rates are Inclusive of 10% Service Charge and 15% Value Added Tax. Free One-time Massage, Free Dinner, Free Breakfast, Free Wi-Fi, Free Shuttle Service, Free Late Check-out until 18hr, Free Parking, Free Gym, Free Sauna and Steam. 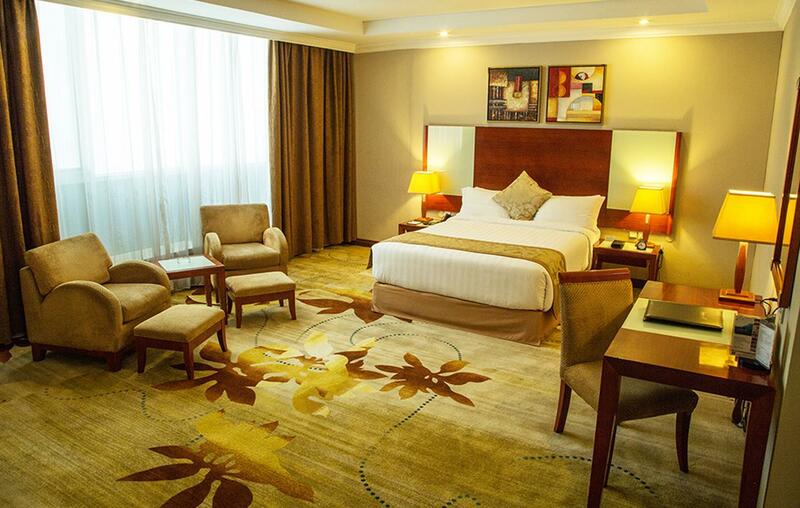 Guests at the newly revamped Deluxe Rooms will enjoy modern and stylish ambiance with more space to work and relax. 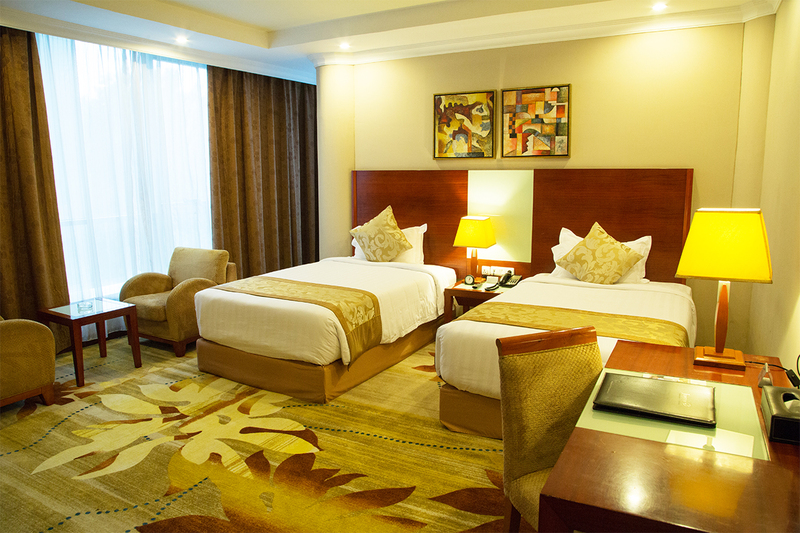 Furnished with luxurious Queen Size beds, the Deluxe Rooms come with Standing Showers to soak the day’s stresses away. 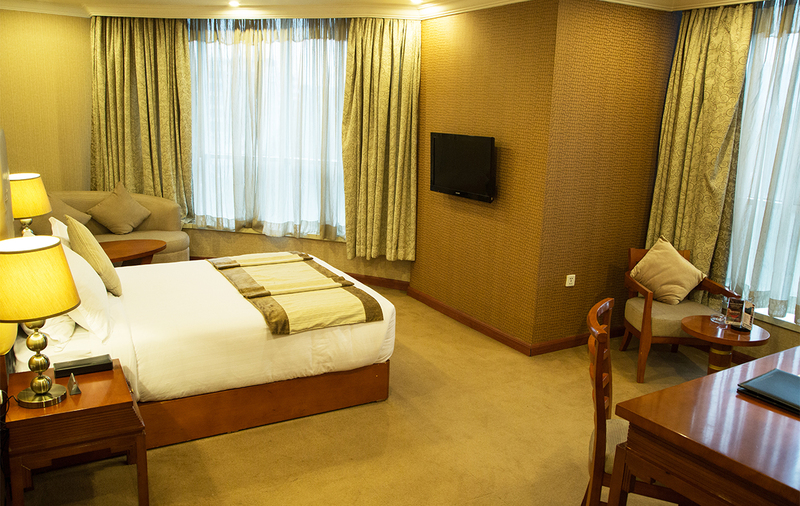 These rooms are larger than our Standard Rooms and are fitted with two Twin Beds. Newly and well furnished, these rooms are the perfect place for guest traveling with family or groups. Like some of our Deluxe Rooms, our revamped Junior Suites features attractive views of the picturesque Addis Ababa and offer a bigger living space. 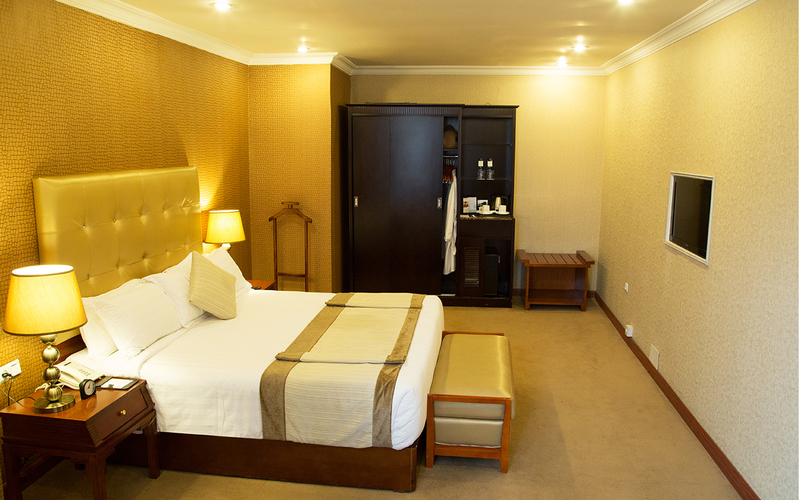 The rooms are furnished with luxurious king Size Beds and larger Sitting areas to relax and enjoy your stay. Bathrooms come with standing showers soak the day’s stresses away. 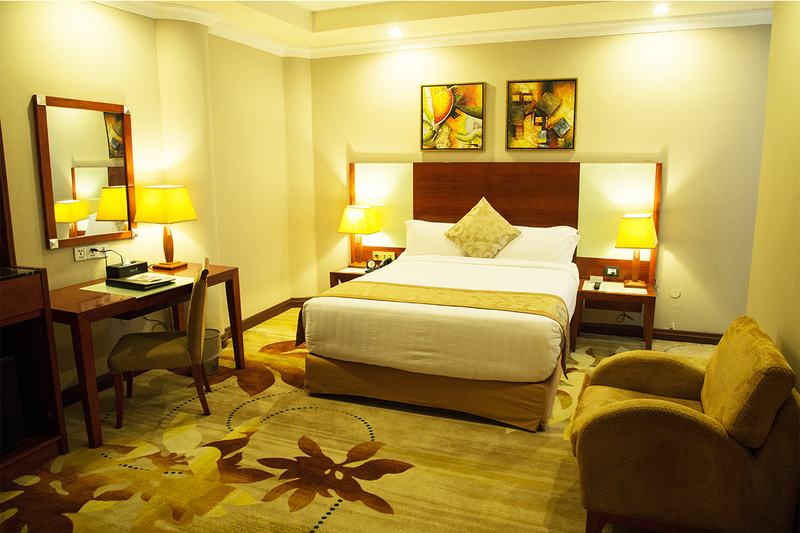 The Soft furnishings in our Executive Room are done with you the guest in mind and designed to give the utmost comfort. All the Executive Rooms are well appointed with attractive views, featuring 70 Sq. Meters of separate Bedroom and Living Spaces for extra opulence. The suites come with showers and guests can also enjoy extra perks such as bathrobe, scales and additional amenities during their stay. All Rates are Inclusive of 10% Service Charge and 15% Value Added Tax. Free One-time Massage, Free Breakfast, Free Wi-Fi, Free Shuttle Service, Free Late Check-out until 18hr, Free Parking, Free Gym, Free Sauna and Steam.